Juan Maril, president of the Hosting Guild of Compostela and the Camino de Santiago says that "these establishments, which operate outside the law, have no guarantees for consumers." 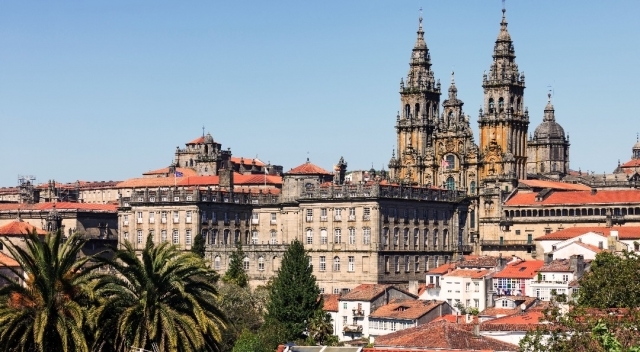 In the context of the Camino de Santiago the hospitality industry increasingly encounters a fierce competitor with a great power of attraction due to its low prices: unregulated tourist accommodations. It is individuals who offer their homes as shelter for a few days agreed, but are not under the control and regulation of quality required in the hospitality industry. Next September may be approved a decree to regulate tourist housing use in Galicia (if not postponed for the holding of regional elections in Galicia), the Hosting Guild of Compostela and the Camino de Santiago warns about the lack of quality offered to pilgrims by the lack of control of these illegal establishments. In Vive el Camino we have been able to talk to Juan Maril, president of this group of Galician businessmen on the competitive relationship that occurs between these illegal establishments and those who comply with regulations. Maril claims that the sector Galician hosting "must meet strict standards but adequate, guaranteeing quality of service and consumer rights," while "these establishments, operating outside the law without control does not have any warranty". He clarifies that in the other hand these establishments "are generating black economy and precarious employment, since there is no type of labor contracts in such establishments, so that competition at the level of costs and expenses is brutal". The president of the group said that hoteliers are "in favor of proper regulation and to defend" their sector as well as limitations, " because a normal house is not a hotel." Although comments that the hoteliers understand that the market has changed by new technologies that benefit other distributions, but says they understand that "housing can never be a hotel: if someone wants to build a hotel, a pension or a holiday apartment there are a number of elements and standards of existing regulations, but if someone wants to rent their home for a short period of time, there must be another kind of regulation. " What regulations the Galician guild hoteliers look at? What models they took as a starting point for regulating illegal accommodations? "Barcelona is still very active in regulating illegal apartments. Tourism was overflowing. Barcelona is an example of success, but was beginning to cause great discomfort and not just for tourists itself, if not even the inhabitants of the city" says Maril. The businessman believes to look for "a tourism model that is sustainable, not endin up killing the goose that lays golden eggs". In Barcelona, he comments, "they are pursuing illegal apartments being restrictive regarding the rules, with limitations on the type of housing that can be used, days that can be rented during the year." Moril ends clarifying that the union does not oppose "the collaborative economy or people to rent their home", what they want is "that we all play with some similar rules for the market is not distorted". Toda la razón tienen, ya que hay muchos establecimientos en malas condiciones y, por supuesto, muchos que no son legales en el Camino. Lo cierto es que algunas condiciones de determinados alojamientos deja mucho qeu desear, y no hablo ya del precio, sino del estado y salubridad que puedan tener.